Alumni Profile: Kathy Gameros 97’, Lawyer at Atwood Gameros, L.L.P. LII in a Box Creator: Alfred Mahlangu, Where is he now? 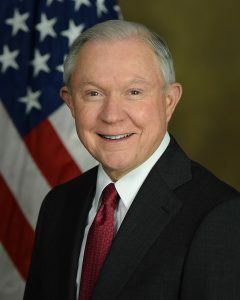 Last month, Attorney General Sessions described civil forfeiture as “a key tool that helps law enforcement defund organized crime, take back ill-gotten gains, and prevent new crimes from being committed.” Politicians and media outlets on both sides of the aisle were skeptical about his decision to curb some fairly recent federal restrictions on the practice. But what, exactly, is civil forfeiture and how did the practice come about? A new wex article by Cornell Law student Stephanie Jurkowski answers those questions and more. Read it here: https://www.law.cornell.edu/wex/civil_forfeiture.